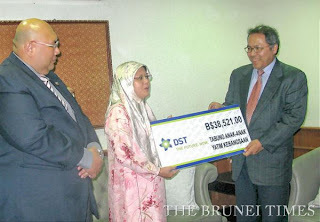 The other day, I was accompanying our MCYS Deputy Minister, Datin Adina who was then Acting Minister of Culture, Youth and Sports to receive contribution from donors through sms using DST and B-Mobile. DST subscribers contributed about $38,000 and B-Mobile subscribers contributed around $28,000. These donations will go to the Orphans Fund. 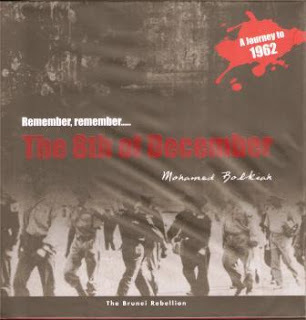 Sms contributions is not new to Brunei. We first started using it for the Acheh Tsunami victims around 2004 and later on for the Orphans Fund. At that time the Orphans Fund received some $300,000 about 5 times more than what we received nowadays. Sms donations have been done so often that subscribers have been too inundated that the amount that can be collected has became much less. Lately it was the turn of the flood victims of Thailand and Cambodia. How do we increase the amount collected? These are all good causes. Perhaps readers out there can point out the other innovative ways of doing this. I remembered complaining about the lack of road names years before I joined MOD. When I was at MOD, the Jawatankuasa Kebangsaan Nama Geografi was just beginning its task in recommending for road names. Sometime last year MOD started labelling new names for roads outside Municipal areas and if you are paying attention, you will see names such as Jalan Utama Tungku, Jalan Utama Mentiri and the likes. Even for the new housing area in Panaga, the roads are named after birds, Jalan Kruak, Jalan Parak and etc. 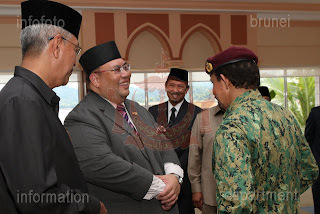 During the 8th Heart of Borneo Council Meeting, His Royal Highness Prince Al-Muhtadee Billah, the Crown Prince as the Royal Patron of the Brunei Heart of Borneo graced the meeting and listened to the briefings on the works of the Heart of Borneo. Before the meeting, he was presented with a book entitled "Brunei Heart of Borneo: Its Journey". The book was published by the Ministry of Industry and Primary Resources with help from Brunei Shell and the Forestry Department. The book contained the history of the Heart of Borneo and everything you ever need to know about the HoB including its strategies, its challenges and where it wants to go. 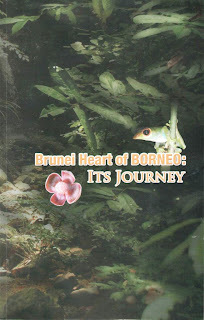 It also contained a list of endemic plants of Brunei. These plants are only available in Brunei Darussalam and cannot be found or not much can be found elsewhere. It shows how unique Brunei can be. When I was first posted to the Ministry of Culture, Youth and Sports, my first thoughts were that this would be an interesting ministry to work in especially given my interests. This has proven to be true. Recently I was asked to be the Guest of Honour for the launching of the book marking the 15th anniversary of the Royal Regalia building at the where else but the Royal Regalia Building itself. 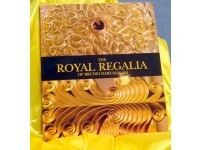 It was sometime ago in 2009, that the Museums Department signed a Memorandum of Understanding (MoU) for the publishing of a book entitled Coffee Table Book: The Royal Regalia of Brunei Darussalam. Exactly 49 years ago today, some people thought they heard fireworks. They were wondering why fireworks? Thy did not know that it was not fireworks that they heard. It was the sound of small arms fire. A group of people decided that they needed to take matters into their own hands. 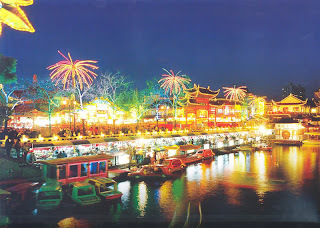 What do these cities have in common with Bandar Seri Begawan? Alsace in France, Barranquilla in Colombia, Belo Horizonte in Brazil, Bloemfontein in South Africa, Daejeon in South Korea, Dallas in the Unites States, Eindhoven in the Netherlands, Florence in Italy, Hauts-de-Seine in France, Leipzig in Germany, Limassol in Cyprus, London in Ontario, Canada, Malacca in Malaysia, Mexicali in Mexico, Nagoya in Japan, Perth in Australia, St Louis in the United States and finally Sunderland in United Kingdom. My brother called me up and said that I had a wide smile when His Majesty was talking to me. So I had to search infofoto.gov.bn and found this picture. It was during the Santap at the end of the Majlis Penyerahan Rumah-Rumah Sungai Buloh last Wednesday. His Majesty said that now that I am in the Ministry of Culture, Youth and Sports, I have to start running and do sports!